Looks like a black tie affair! Four white socks and great black color is always in style. 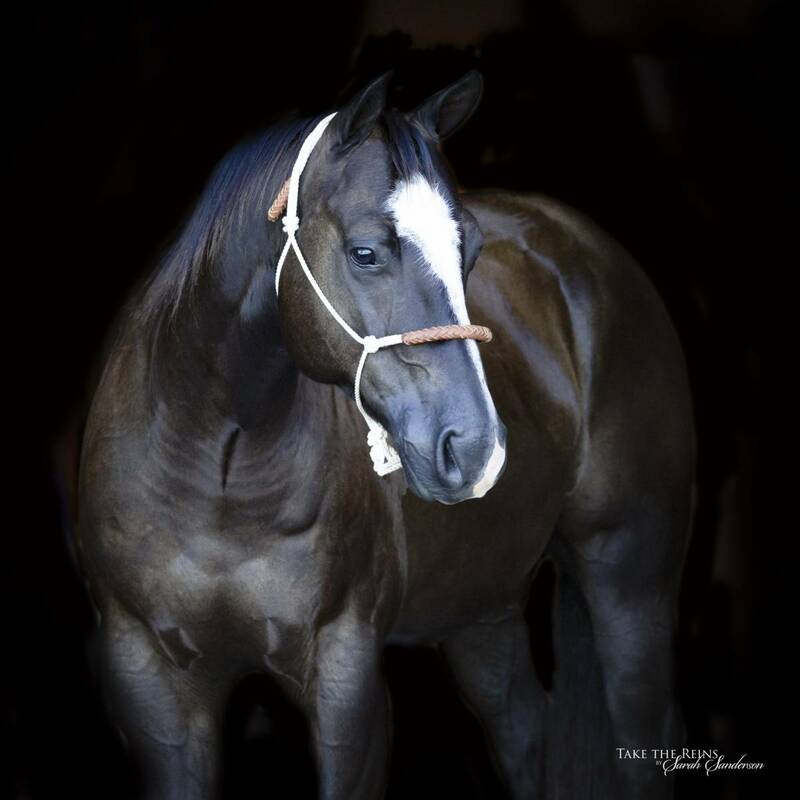 At 14.2 hh and weighing 1025#'s this handsome guys is also handy sized! 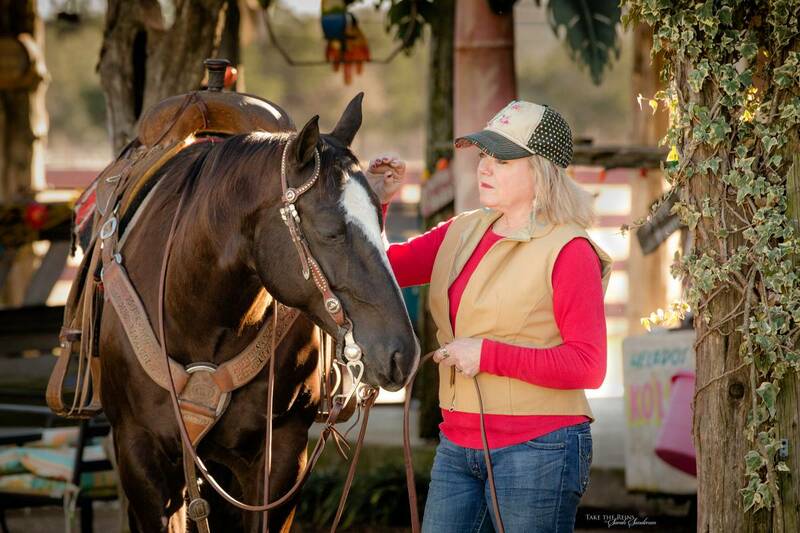 Fifty is a people lover and will trot up to be caught from the pasture with just a whistle . He rides, ropes, slides and spins. 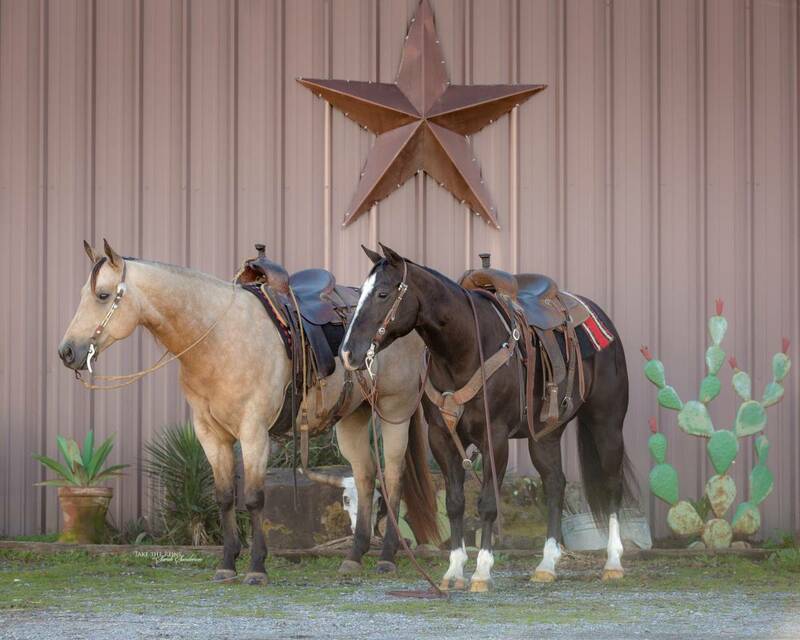 We have used him for ranching, pasture roping, dragging calves at brandings. Good on trails and over obstacles (bridges, gates, etc.). 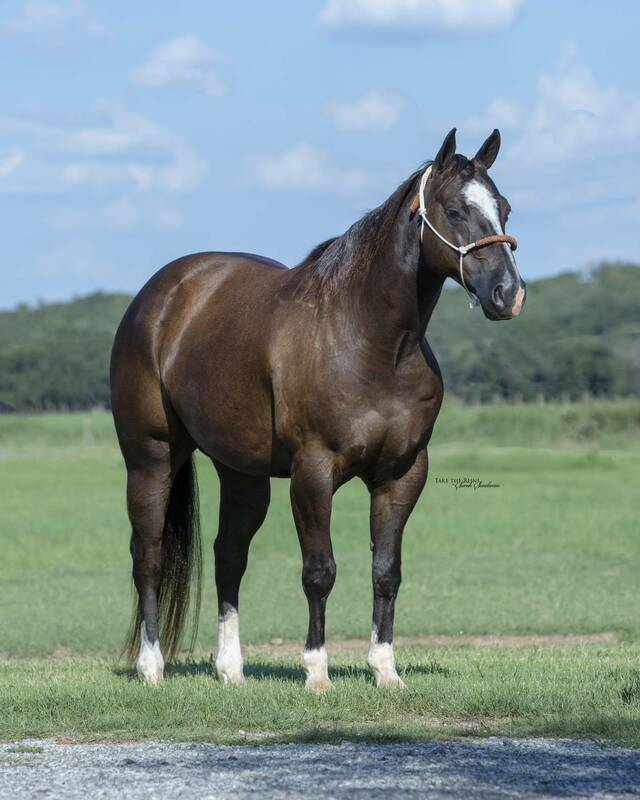 We have not shown him, but he is well trained for all phases of Ranch Versatility. Sweet mover and quiet to be around. 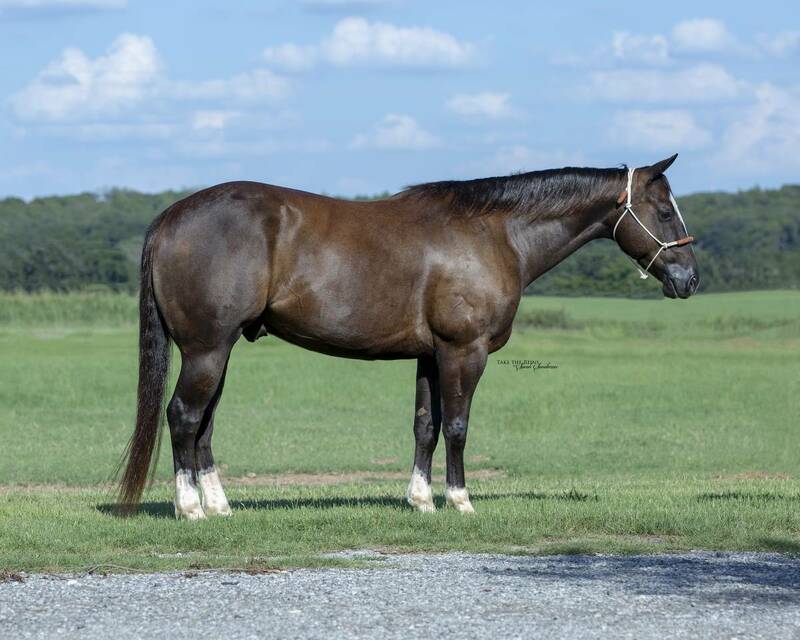 Athletic and responsive, this gelding comes with the perfect combination of ability and temperament. Bred in the purple with Peppy San Badger and Shining Spark on the top side. Fifty loads, clips, and loves to be pampered with shampoo and conditioner. He is good for the farrier and has had regular dental visits. No buck, kick, or rearing. 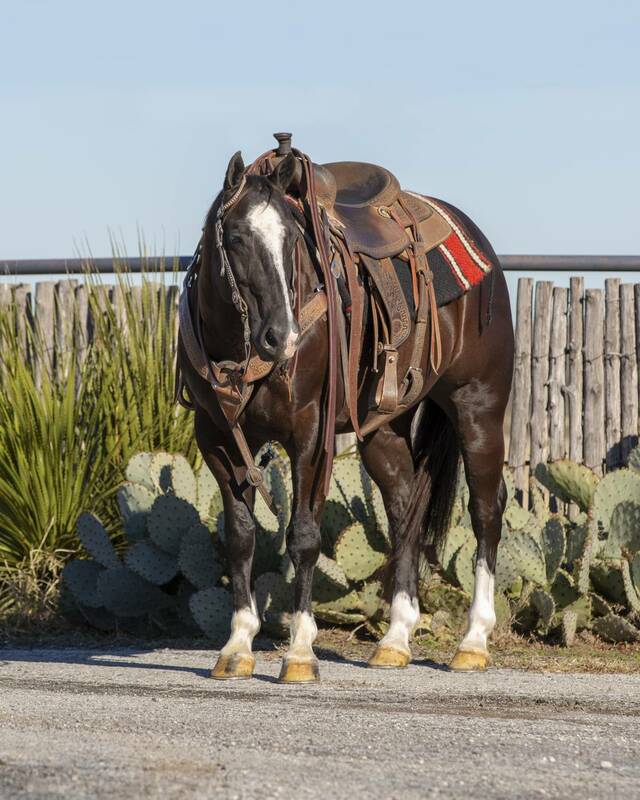 This is a special gelding you will enjoy owning.